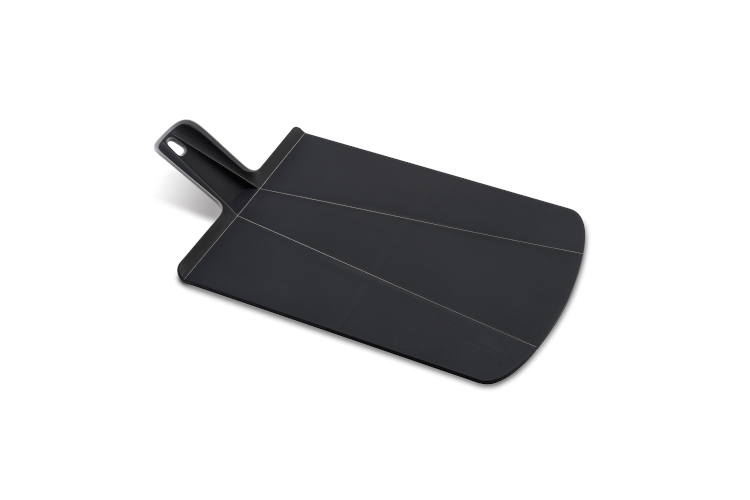 This award-winning folding cutting board is innovative in design, letting you chop and prepare your food on the knife-friendly cutting surface, before using the funnel function to add it skilfully to your pan. No more spillages or food going astray on your hob! Chop your fruit, veg, meat or herbs on a Chop2Pot cutting board then simply squeeze the handle to create a chute and add your food directly to your pan or pot!